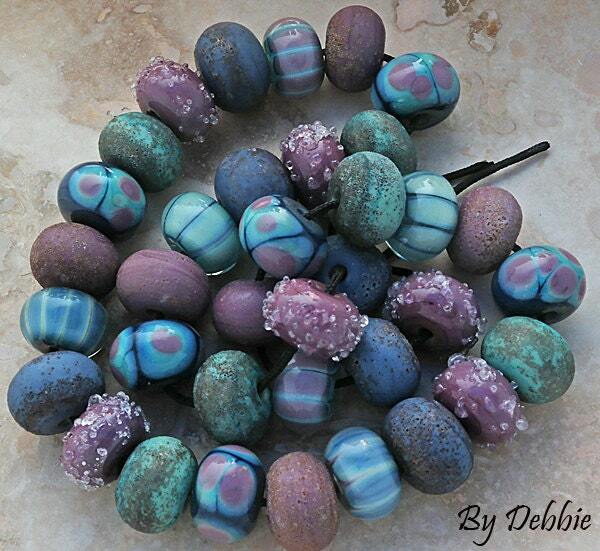 A beautiful organic set of 36 glass beads in shades of violet, copper green and blue. 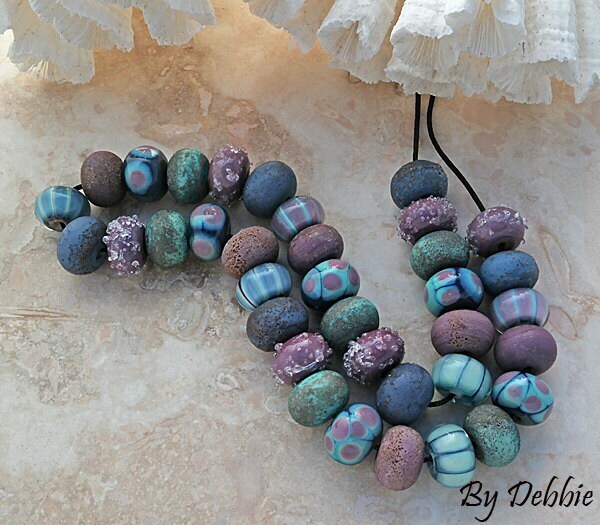 Measurements are roughly .40"- .45" (11-12 mm) in diameter for each lampwork bead. Keep in mind that this is a made to order set and because so it will be unique but similar to the pictures. Please give me 2-4 weeks to finish your beads. If I need to order any special items for your beads, then that may increase the time frame. My beads work well for jewelry/craft projects.